It is clear that employers negligence in the construction industry is exposing workers in the Cheshire and the north west to unacceptable health and safety risks at work. 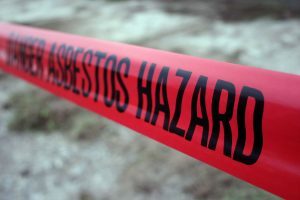 The Health and Safety Executive found poor standards and dangerous practices at nearly half of the building sites visited during a month long safety drive last year (read more). Around 9,000 people working in construction in the north west last year were suffering from ill health caused by their work. Seven construction workers in the region were killed and 323 suffered a major injury while at work in 2012 to 13. For every fatal accident, approximately 100 construction workers die from a work-related cancer. 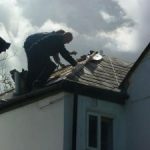 Take this example where a Wirral builder was recently caught on camera risking the lives of his workers on a house roof without any measures in place to prevent them being injured in a fall. This resulted in a fine of £3,000 and an ordered to pay £2,457 in prosecution costs on 25 September 2014 after the employer responsible pleaded guilty to a breach of the Work at Height Regulations 2005 (read more). We recognise the construction sector’s progress in reducing the number of people killed and injured by its activities. But it is clear from these figures that there is an unacceptable toll of ill-health and fatal disease in the industry. The HSE are currently undertaking a further ‘targeted inspection initiative’ from 22 September until 17 October, with more unannounced visits to sites where refurbishment projects or repair work is underway (see details). If you have had an accident at work as a result of your employers negligence or if you believe that you have a work related illness call us. We can provide a free confidential consultation to advise you of your rights and what compensation you may be entitled to. This article was added on Tuesday, September 30th, 2014 at 11:11 am and is categorised under General News, Workplace Accidents. Both comments and pings are currently closed. Error: Error validating access token: Session has expired on Saturday, 09-Mar-19 13:12:58 PST. The current time is Thursday, 25-Apr-19 05:55:39 PDT.